Coordinate and work with other similar industry associations, both domestically and internationally. 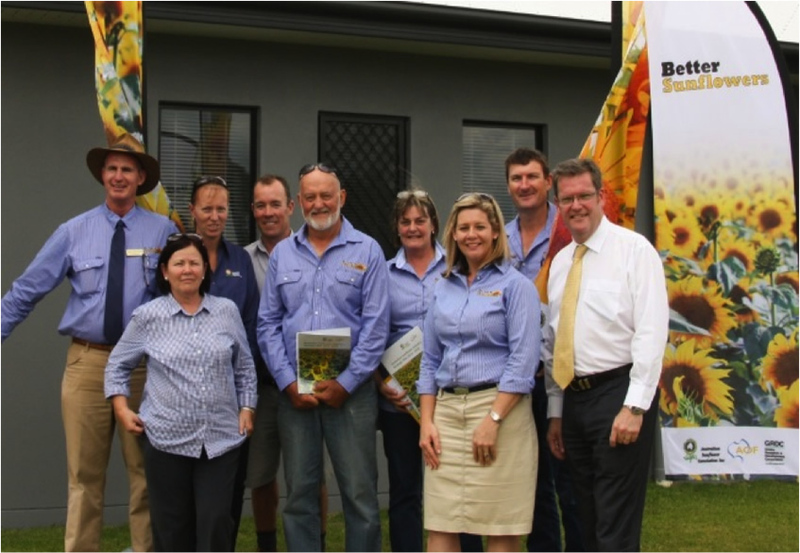 The Australian Sunflower Association acts as a voice for all sectors of the industry and assists growers to capitalise on new developments and opportunities. The ASA aims to develop grower confidence in all sunflower types through high yields and sunflowers' contribution to more profitable farming systems. The Better Sunflowers website for all agronomy resources and information. The Australian Summer Grains Conference. The 2013-2018 Australian Sunflower Industry Strategic Plan. Annually updated Sunflower Marketing Guide for Growers. A partner in the Australian Broadleaf Cropping Alliance, a Grains Research Development Corporation funded joint initiative between the Australian Oilseeds Federation and Pulse Australia. Nationally accredited training in partnership with Tocal NSW DPI for sunflower advisers and industry members. Membership of the ASA consists of growers, researchers and personnel from all facets of the industry. These include the seed industry, crushing, refining, manufacturing, merchandising organisations and private agronomic advisers.